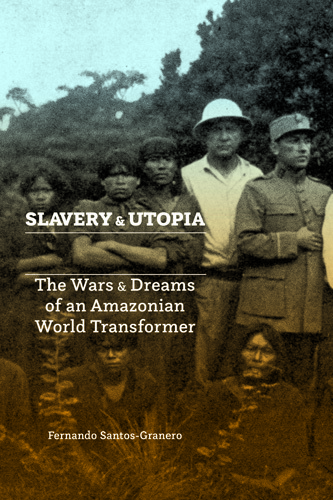 Through the career of a charismatic indigenous leader, this book chronicles the struggles surrounding indigenous slavery in Peruvian Amazonia from the collapse of the rubber economy to the beginnings of mass colonization in the region. In the first half of the twentieth century, a charismatic Peruvian Amazonian indigenous chief, José Carlos Amaringo Chico, played a key role in leading his people, the Ashaninka, through the chaos generated by the collapse of the rubber economy in 1910 and the subsequent pressures of colonists, missionaries, and government officials to assimilate them into the national society. Slavery and Utopia reconstructs the life and political trajectory of this leader whom the people called Tasorentsi, the name the Ashaninka give to the world-transforming gods and divine emissaries that come to this earth to aid the Ashaninka in times of crisis. Fernando Santos-Granero follows Tasorentsi’s transformations as he evolved from being a debt-peon and quasi-slave to being a slave raider; inspirer of an Ashaninka movement against white-mestizo rubber extractors and slave traffickers; paramount chief of a multiethnic, anti-colonial, and anti-slavery uprising; and enthusiastic preacher of an indigenized version of Seventh-Day Adventist doctrine, whose world-transforming message and personal influence extended well beyond Peru’s frontiers. Drawing on an immense body of original materials ranging from archival documents and oral histories to musical recordings and visual works, Santos-Granero presents an in-depth analysis of chief Tasorentsi’s political discourse and actions. He demonstrates that, despite Tasorentsi’s constant self-reinventions, the chief never forsook his millenarian beliefs, anti-slavery discourse, or efforts to liberate his people from white-mestizo oppression. Slavery and Utopia thus convincingly refutes those who claim that the Ashaninka proclivity to messianism is an anthropological invention. Santos-Granero is a senior staff scientist at the Smithsonian Tropical Research Institute in Panama City, Panama, and a specialist on the Yanesha of Peruvian Amazonia. His books include Vital Enemies: Slavery, Predation, and the Amerindian Political Economy of Life.